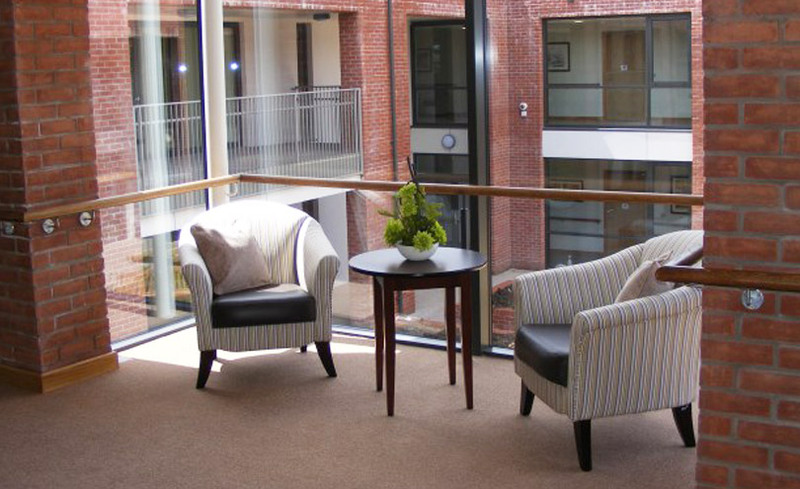 Hemsworth Court is a purpose-built, supported housing development for people with dementia and cognitive impairment. Based in Lower Shankhill in Belfast, a deprived area affected for many years by civil unrest, it has become the first dementia-friendly community in the city. 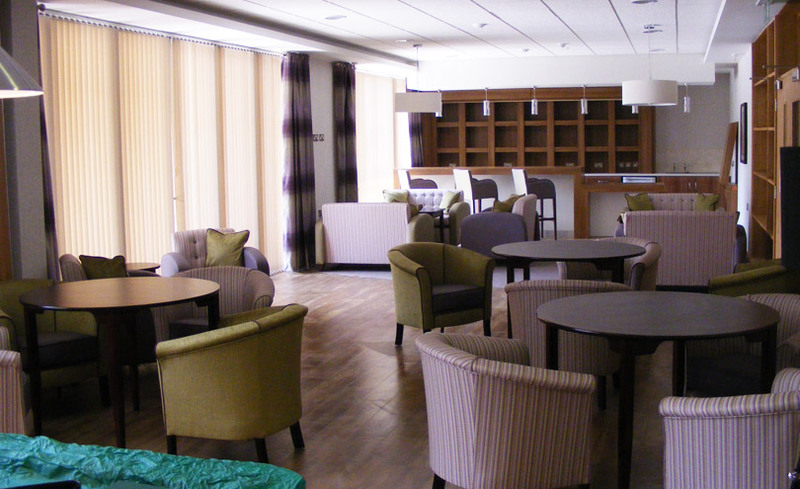 With the number of dementia diagnoses set to rise to over one million in the UK by 2025, Hemsworth Court shows how to successfully develop dementia-friendly housing. By providing 24-hour care with dementia-friendly facilities which help to avoid potential confusion and distress, residents are supported to live independently within their community. Awareness of dementia in the local community has increased through Hemsworth Court’s wider work with charities, faith groups, schools and local businesses. This means that local people understand and interact more with residents and many take part in social events. Lower Shankhill, an area heavily affected by the conflict in Northern Ireland, continues to face challenges in health, education, employment and housing. 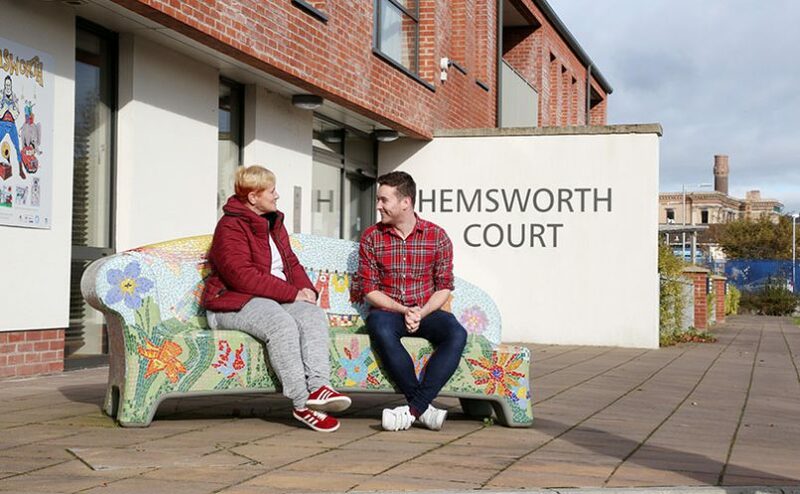 Hemsworth Court has provided a positive boost to the whole community through training and encouragement to interact with, understand and support its residents. 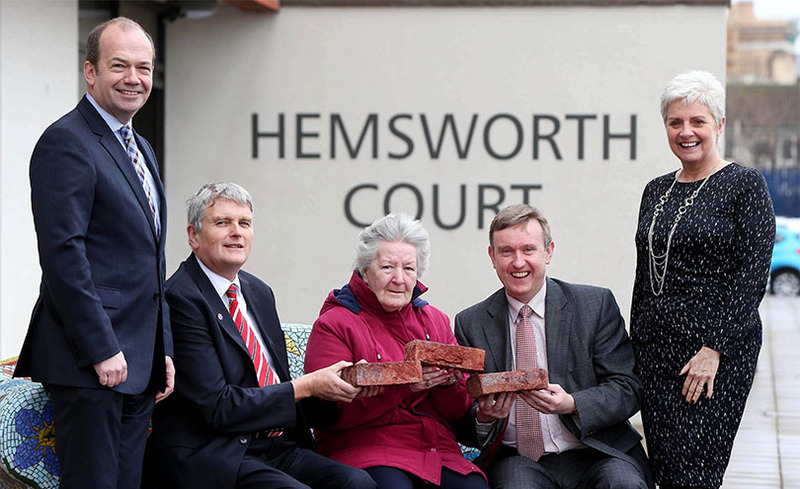 Hemsworth Court, which opened in 2013, is a purpose-built, supported housing development for people with dementia and cognitive impairment in Lower Shankhill, a deprived area in Belfast, Northern Ireland affected for many years by civil unrest. In 2009, the city’s public sector health and social care provider Belfast Health and Social Care Trust needed to provide a new facility in this part of Belfast to replace an existing building. They wanted to take a community-focused approach so the Trust worked with Helm Housing (now Radius Housing Association) to develop an exemplary, dementia friendly scheme involving much more than the building itself. The Hemsworth Court project involved a holistic approach to working with the community. The new building was delivered alongside community-wide training, with a team employed to lead on community integration. This work made Lower Shankhill – an area that for some time had suffered significant deprivation and had a poor reputation – the first Dementia Friendly Community in Belfast. The majority of the funding for the project came from Supporting People (a public-sector programme run by the Northern Ireland Housing Executive which promotes independent living). The project was a response to a range of strategies and plans within Northern Ireland designed to improve the way the needs of older people and people with dementia are met. The UK charity Alzheimer’s Society also advised on the development, which was completed in 2013. There are 35 modern apartments with communal facilities including a coffee bar, cinema and games room, library, cookery room, gym, hairdressers and gardens. Although Hemsworth Court itself has many facilities, that doesn’t mean that it is separated from the local community, quite the reverse. 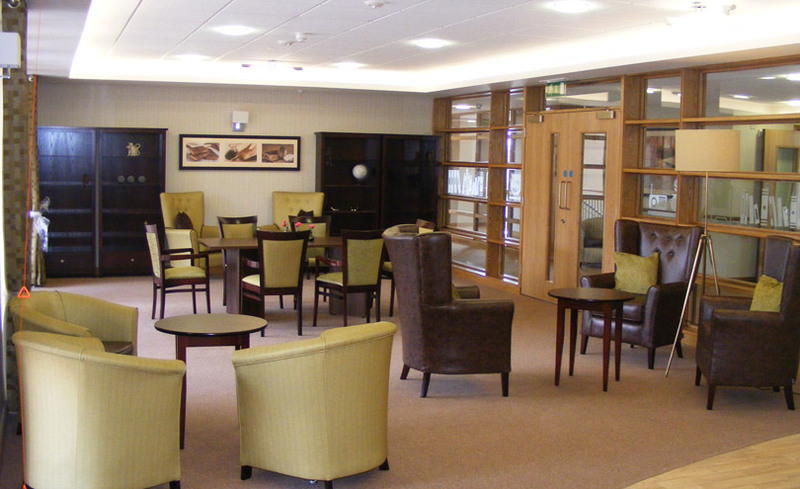 Local people are able to use many of the facilities at Hemsworth Court and social activities are arranged which involve residents and the wider public alike. Hemsworth Court has been designed to promote independence. Support is also in place so residents can carry out everyday tasks like shopping and other activities. The people who live at Hemsworth Court are supported to live independently in their local area with 24-hour care available, so they can carry on with their lives with all the support they need in place. This is really important to the people living there and their families, as the onset of dementia and the disruption it causes to many aspects of people’s lives can be highly distressing. Empower adults with dementia to maintain independence, wellbeing and social inclusion. Educate and create awareness of dementia in the local community, to increase the safety and well-being of dementia sufferers. 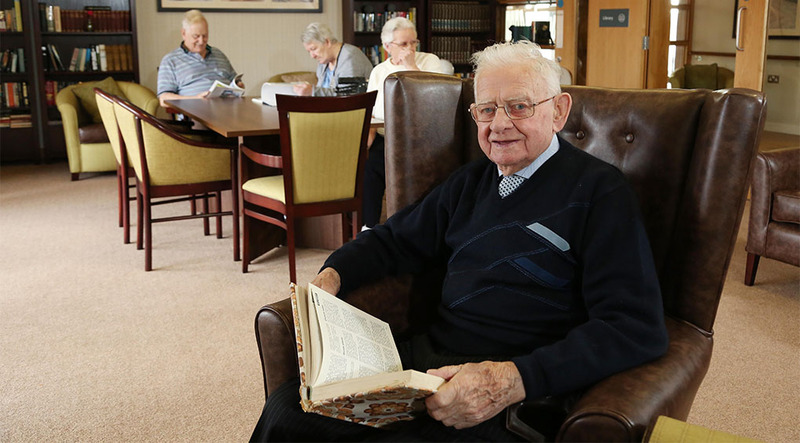 Reduce the loneliness and isolation of people with dementia. Reduce the stigma associated with the condition. Dementia is a term which describes different brain disorders that trigger a loss of brain function. There are 850,000 people with dementia in the United Kingdom, with numbers set to rise to over one million by 2025. A 2013 report by the Alzheimer’s Society indicated that Belfast has the highest rates of diagnosis of dementia in the UK. Hemsworth Court is located in the Lower Shankhill area, which has been designated for regeneration by Belfast City Council. Predominantly a Protestant/Loyalist area, Lower Shankhill was heavily affected by ‘The Troubles’, three decades of civil and political unrest and conflict in Northern Ireland which began in the 1960s. The Troubles are deemed to have ended with the Good Friday Agreement of 1998, but the after effects are still felt in many communities. In Lower Shankhill, deprivation is high in terms of health, education and training, crime, employment, income and housing. The community suffers from high unemployment and negative perceptions of the area. A high proportion of the local population are on low incomes and have few formal qualifications. Many people who lived through and are survivors of the political conflict live in the area and have experienced problems with their mental and physical health. This has contributed to high health and social deprivation. Services for older residents, and in particular residents with dementia, are in high demand in Northern Ireland. Research by the Alzheimer’s Society found there are over 20,000 people living with dementia across the country. In 2009, when the Hemsworth Court project started, there were 158 people with dementia on the waiting list for Helm Housing, of which 103 were considered in housing need. At that point there were no facilities available to provide supported housing for people living with dementia in Lower Shankhill. There is an ever increasing demand for this type of comprehensive facility and today Hemsworth Court is full and has a long waiting list. The ‘Social Sofa’, a colourful concrete sofa designed and decorated by residents which toured the area so people could sit, have a chat and share memories and ideas. This activity also worked to bring dementia into the public eye and stimulated discussion amongst residents and via the media. The project became involved in the Belfast Walkability Project, which engaged older residents in conversations about how public spaces can be better designed for them. 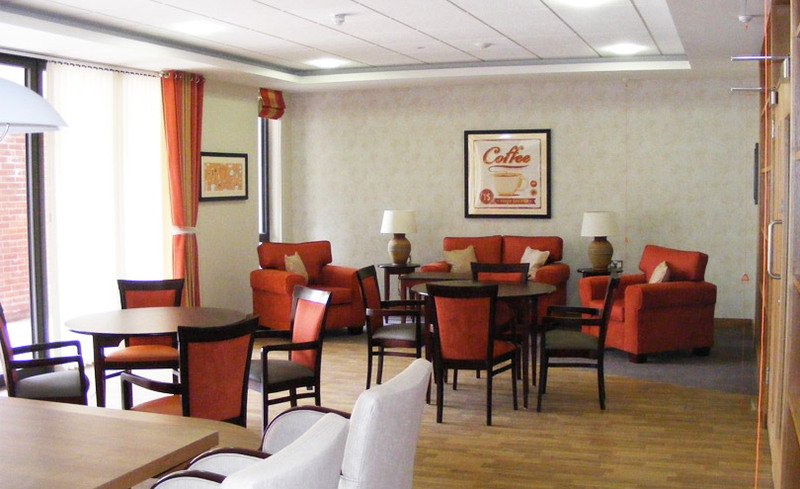 A key feature of the development of Hemsworth Court was about understanding how dementia has an impact on everyday life and making appropriate decisions about design at an early stage to accommodate these needs. Research has shown that the cognitive impairment affecting people with dementia can be aggravated by building design. 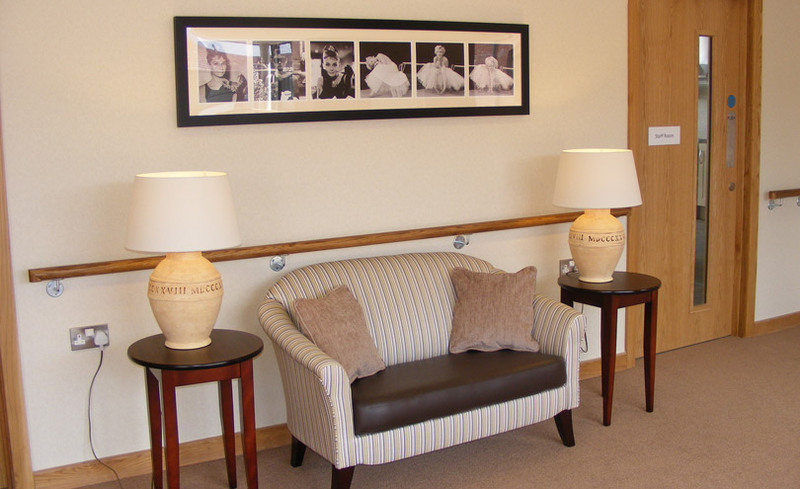 For this reason an interior design company specialising in design for dementia were used. All design and materials are dementia friendly, chosen to be familiar to residents to avoid potential confusion and distress. People with dementia themselves and their families. Local businesses who have learnt about the needs of their customers and service users with dementia, enabling them to provide the appropriate support. Specialists in design and construction. the Regulation and Quality Improvement Authority and the Dementia Services Development Centre. Lower Shankill is a traditionally ‘hard to reach’ area, with many households affected by high levels of deprivation and isolation. This project has contributed to increasing social interaction locally. There is greater cooperation amongst residents, local communities and local businesses. Dementia friendly training in the local community has helped to reduce the stigma associated with the condition and being one of the first dementia friendly communities in Northern Ireland has created a sense of pride in the local community. 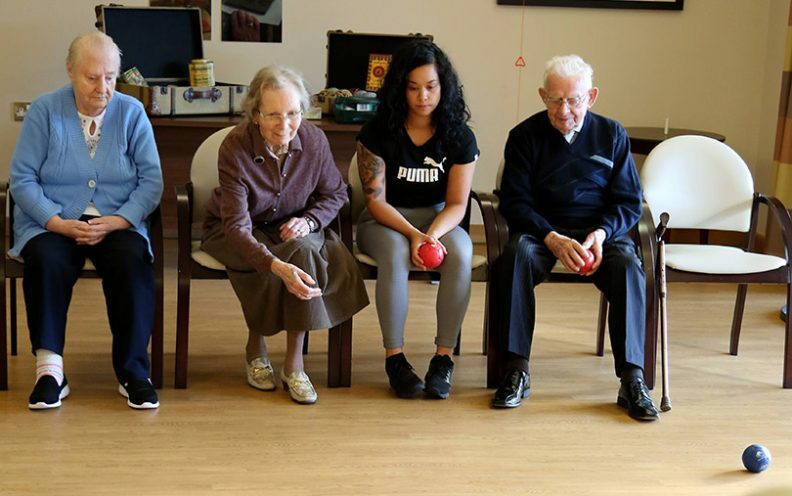 Public awareness of dementia has increased through the wider activities like the Social Sofa art installation, which succeeded in attracting attention and addressing the stigma of dementia as an issue. Hemsworth Court has succeeded in helping people living with dementia to retain independence and increased the acceptance and understanding of dementia sufferers in the wider community. The scheme has recognised the right of dementia sufferers to safe, secure housing. 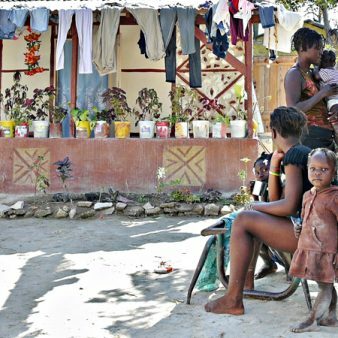 Costs were met by a Department of Communities Grant of £4,598,128 (US$5,945,380) and private finance of £427,050 (US$552,175). Annual running costs are covered by Helm Housing (now Radius Housing) for the maintenance of the buildings. Day-to-day running costs are funded through rent and housing benefit payments. Care costs are met by Belfast Health and Social Care Trust. The average rent is £123.45 (US$159.62) for a one-bedroom unit and £125.35 (US$162.08) for two bedrooms per week. Future costs are highly uncertain due to funding pressures faced by service providers and Housing Associations. Hemsworth Court is the only provider of dementia friendly supported living in the city of Belfast. One of its most innovative features is the fact families can live together so people with dementia can get 24-hour professional care while also living with their family. This purpose built accommodation allows people with dementia or cognitive impairment to remain independent with care and support available when needed. Residents can remain in the area instead of being forced to move into a nursing home outside of their community. This helps to maintain their well-being and ability to cope with the stresses of the condition. The work to integrate the development with the community has helped to boost an area which has suffered from long-term deprivation and decline. While the activities carried out to integrate people with dementia or cognitive impairment were designed to ensure the well-being of the residents of Hemsworth Court, they have had a wider impact in improving the image and sense of pride of the local community. The other activities that took place alongside the construction of Hemsworth Court, like the Social Sofa art project, helped to build links between people with dementia and the wider community. 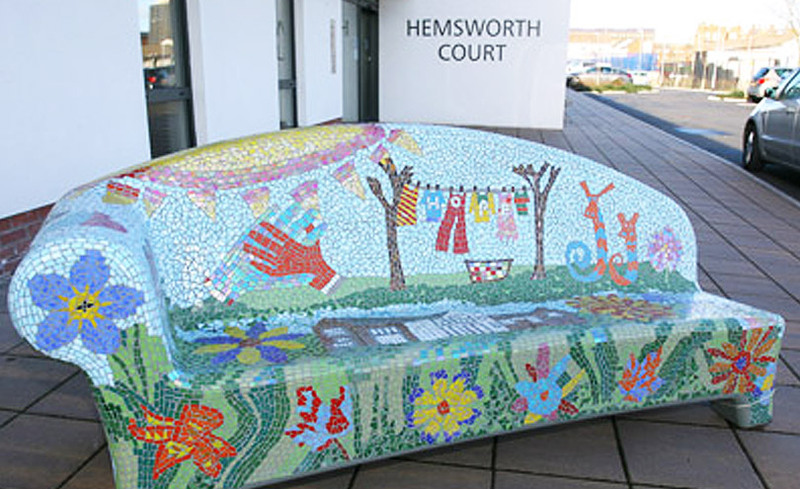 The Social Sofa captured the memories of residents through art in a partnership with local community groups, schools and staff from Hemsworth Court. It created a discussion point to bring the topic out into the open and was the first activity of its kind in Northern Ireland. The design and construction of the housing includes several environmentally sustainable features such as baths and toilets that use less water than traditional ones, energy efficient gas-fired boilers, responsibly sourced timber, energy efficient lighting and solar panels. Rainwater is collected in underground tanks to supply half of the toilets, with top-ups from the mains water supply. The whole building is fitted with a heat recovery ventilation system, which recycles hot air from inside while bringing in cooler air from outside. Hemsworth Court has been rated four out of six stars under the Code for Sustainable Homes. The grounds of the building have been landscaped to contribute to local biodiversity and allow residents to enjoy the gardens. Residents are encouraged to reduce their environmental impact by using recycling bins, external drying spaces and cycle storage is provided to encourage people to cycle. For residents, rental payments are lower than market rate and housing benefits contribute towards these costs for those households that are eligible. The services provided to residents are subsidised by the government-funded Supporting People programme and there are no significant changes to running costs anticipated in the future. Budget cuts present an issue for the Belfast Health and Social Care Trust, particularly in replicating the model to other specialised supported living accommodation. However, it is hoped that the success of Hemsworth Court will attract further funding from the public and private sectors to replicate the project in other areas. Hemsworth Court has become a community hub hosting information days, community group meetings and health education events. The main aim is to support residents so they are genuinely integrated into their local community. The stigma associated with dementia has been reduced and there is now a better understanding of the condition within the local community. 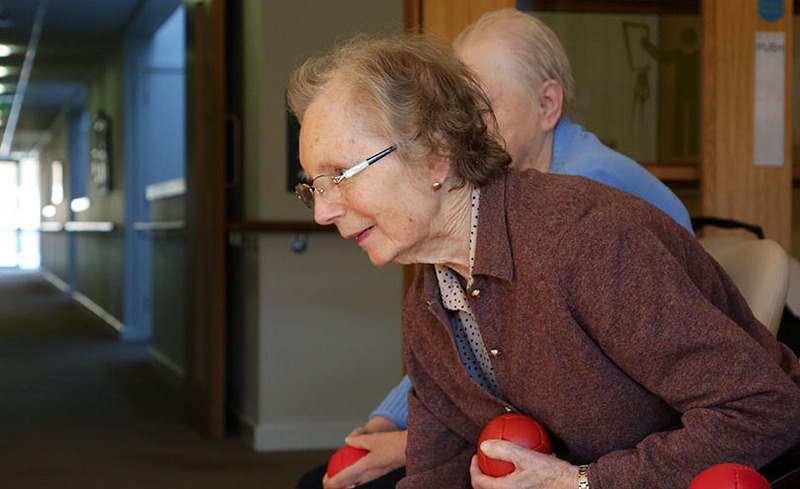 People living at Hemsworth Court have lots of opportunities to take part in community activities and these can help develop their cognitive skills. The availability of an Activity Coordinator, support staff and the increased awareness within the local community about how to support people with dementia or cognitive impairment has increased the confidence of the residents, enabling them to live more independently. 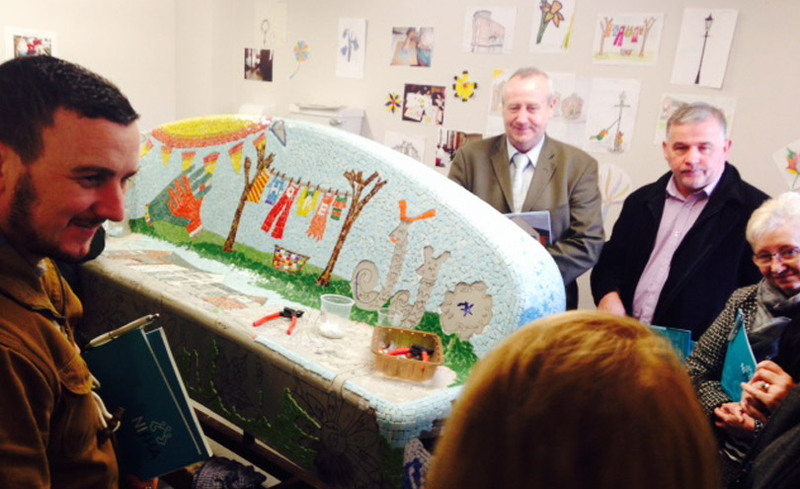 The Social Sofa helped to achieve wider awareness about the challenge of dementia and cognitive impairment. The Social Sofa project was a collaborative project and involved schoolchildren and a local arts centre. This project really helped residents to develop artistic skills and build confidence. The initial challenge of the programme was raising awareness of dementia and educating the community on the condition. Workshops for local businesses helped to change attitudes and integrate the community, professionals, residents and families. Amongst carers there was some fear or lack of understanding of how to care for their loved one with dementia, especially regarding safety. Belfast Health and Social Care Trust provided a training programme for carers to help overcome this barrier. This included improving people’s understanding of the condition, supporting families to accept a diagnosis and learning how supported housing works. Although Hemsworth Court is an award-winning scheme and hugely popular with residents and the community, funding to replicate the scheme is not available from the same sources due to budget cuts. It is hoped that the high quality of the scheme and savings to health services (through the reduced need for hospital stays or nursing care among residents) may be successful in attracting investment from elsewhere. There is a need to challenge the attitude that residential or nursing homes are the only viable options for the long-term care of people with dementia. Residents and the community need to work together to allow people with dementia to maintain their dignity and independence by feeling welcomed and are able to continue everyday activities in their community. It is important to raise awareness about a programme like this at early stages, to encourage integration within the community. Partnership working and training are necessary to build the knowledge and skills of professionals not familiar with dementia-friendly approaches to housing and care. The Regulation and Quality Improvement Authority inspects supported living developments at least once a year. Hemsworth Court successfully passed the last two annual inspections with no issues raised. Supporting People is the policy and funding framework for housing support services and assesses 17 objectives within its Quality Assessment Framework. This assessment noted that care records are person-centred and the views and preferences of individuals are taken into account. Belfast Housing and Social Care Trust Chairman’s Award 2015 Dignity in Dementia. Dementia Services Development Centre Gold Standard Award Dementia Appropriate Environment. Alzheimer’s Society 2015 Dementia Friendly Communities Award. Elevator Award Dublin City University & Health Service Executive Award 2015 Community Integration and Social Sofa. William Keown Architects Access Award 2015 Accessible Housing Environment. Chartered Institute of Housing Awards 2015 – Finalist for Promoting Integration Award. European Responsible Housing Awards 2016 – Finalist for Good Governance and Fair Relations with Stakeholders. In addition the Social Sofa initiative has featured in local and national news. Hemsworth Court has developed a template for others to adapt if they want to deliver specialist supported housing. It can be used to provide housing which helps vulnerable people to live fuller independent lives. The dementia friendly approach of Hemsworth Court has been transferred to the town of Holywood to the north of Belfast. This is a partnership scheme between Radius Housing and Dementia Northern Ireland. Holywood is now a dementia friendly town. Hemsworth Court has also been visited by Australian housing professionals who are keen to adopt the model. Funding issues are a major barrier in transferring the model in the UK. 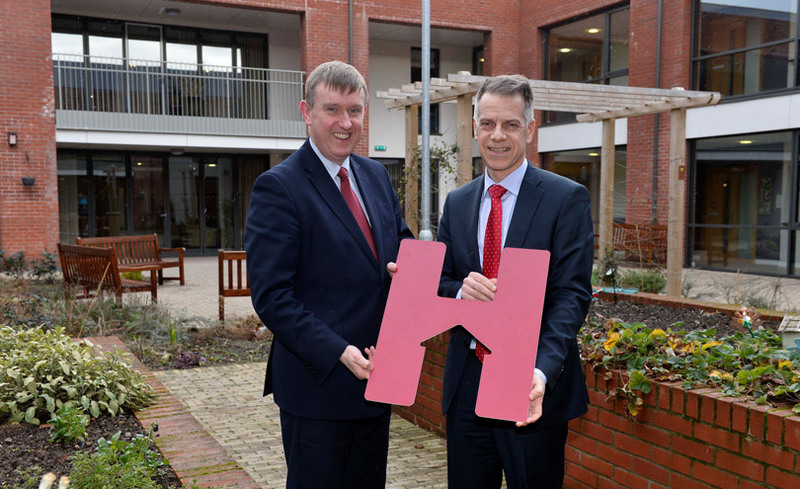 The level of grant funding that Helm Housing received is no longer available from Supporting People or the government of Northern Ireland, though as the approach to caring for people with dementia or cognitive impairment offers long term savings for health services there may be potential for investment in the approach from other sources. 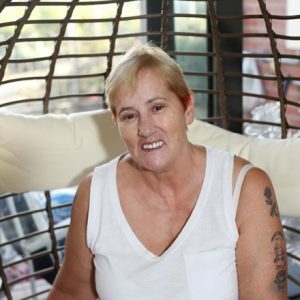 Claire Lemon is 61 and has been a tenant at Radius Housing’s Hemsworth Court for the past three years following a diagnosis of vascular dementia and early Alzheimer’s. She lives independently in the specially designed accommodation. Claire spent her life working in a variety of jobs as well as raising three children, whom she sees daily. When I came to live at Hemsworth Court, I could hardly walk. I suffered hair loss from pulling at and playing with my hair continually. My memory was going and I felt there was nothing to be done. That all changed from the moment I crossed over the door at Hemsworth. From that first day it was all about exercising my brain and my body. I got involved in many things – things that I had never done in my life! I learned to knit, which means I can occupy my hands – I knit dishcloths which I sell in aid of our tenant comfort fund and I love to take part in the arts and crafts activities. I’ve been to London to represent Hemsworth at an awards ceremony and help plan the activities at the scheme with other tenants. The accommodation is brilliant, I can come and go as I please and there is room for my family to visit and stay over if they want. I feel safe, secure and can relax here. I close the door and I know – and my family know – I’m safe. But the best thing is the support I receive from the staff. Living at Hemsworth has changed my life – even the tests at the memory clinic show that my memory has improved.